Of those states taxing wages, eight have single-rate tax structures, with one rate applying to all taxable income. Conversely, thirty-three states levy graduated-rate income taxes, with the number of brackets varying widely by state. 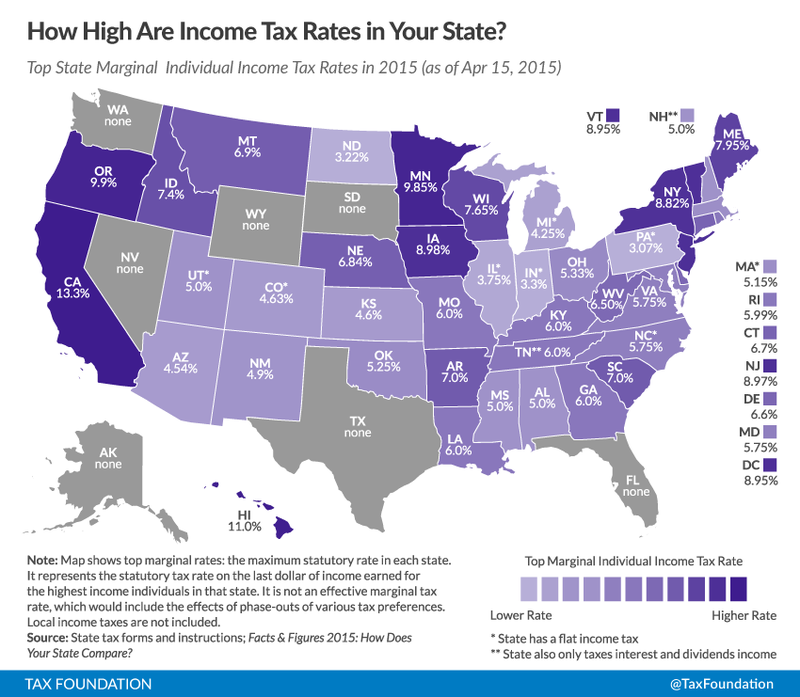 Three states—Kansas, Nebraska, and Oregon—impose two-rate income taxes. At the other end of the spectrum, three states have ten or more tax brackets, led by Hawaii with twelve. 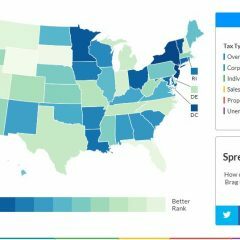 Top marginal rates range from Pennsylvania’s 3.07 percent to California’s 13.3 percent. Joseph Henchman, Indiana Approves Income Tax Reduction, Tax Foundation Tax Policy Blog, May 14, 2013, http://taxfoundation.org/blog/indiana-approves-income-tax-reduction. Liz Malm, North Carolina House, Senate, and Governor Announce Tax Agreement, Tax Foundation Tax Policy Blog, Jul. 15, 2013, http://taxfoundation.org/blog/north-carolina-house-senate-and-governor-announce-tax-agreement. Joseph Henchman, D.C. Council to Vote on Tax Reform Package Today, , Tax Foundation Tax Policy Blog, June 24, 2014, http://taxfoundation.org/blog/dc-council-vote-tax-reform-package-today.